The Vi Digital Personal Trainer | Valet. These headphones have genuine artificial intelligence to guide you to better fitness results. We've talked about the benefits of working out with a personal trainer before. It's an indulgence, sure, but if you're going to put in the work of working out, you want to make sure you see the benefits from it. But if you're intimidated by the thought of having someone bark commands at you while you exercise, then this might be the perfect solution. It's called Vi, and it's the first digital personal trainer powered by genuine artificial intelligence which tracks your progress and then provides personalized athletic training in real-time with an extra helping of motivation through coaching piped into your headphones. If your first thought is of Scarlett Johansson's playful digital persona in the movie Her, you're not alone. We had the same reaction. And so did, we assume, the team behind Vi. Because we couldn't help but notice the similarities between the two seductively robotic yet comforting voices. We have, however, confirmed that Johansson did not lend her voice to this project. 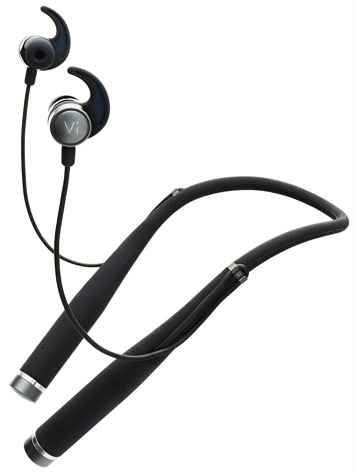 The hardware doesn't look all that different from your standard set of Bluetooth sport headphones. It's basically a pair of earbuds with customizable fins attached to a flexible and lightweight sweat-proof collar. While they're comfortable and engineered with high end Harman/Kardon sound, that's not what made for a Kickstarter-record-breaking fitness wearable. Vi was created by LifeBEAM, an aerospace tech company which has spent years developing cutting-edge biosensors for everyone from NASA and the US Air Force to Under Armour. The earbuds' biosensors monitor your temperature and heart rate, along with such environmental data as weather, location and altitude, plus helpful training progress markers like workout frequency and speed. With each day, Vi gets smarter and more tailored to your needs in order to train you more effectively. Her friendly persona offers actionable advice and tips to help you meet your potential. Once you turn on Vi and set up the app on your phone, Vi asks your fitness goals. Are you looking to lose weight, run faster or gain endurance and strength? After a few hours of training with you, she'll figure out your quirks and patterns, and start creating guiding you through workouts tailor-made for you. She'll also steer you clear of trouble. for use both during and off training. For instance, she will alert you if your heart rate during a workout is above your norm—a sign that you might be over training or about to get a cold. She can tell when you don't have a steady "cadence" when you run (which can cause a slew of problems), so she'll ask if you'd like a metronome sound played to help get you onto the right foot strike rate. 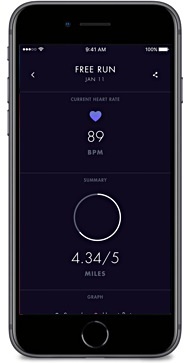 You can easily connect Vi with Apple HealthKit, Google Fit, Fitbit or nearly any other device you use for exercise as well. 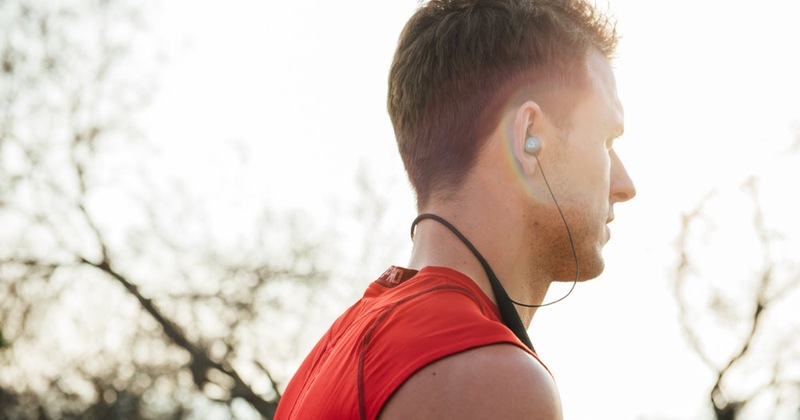 You can pair it with your Spotify account or have Vi recommend songs from your library that match your workout's pace. Is it perfect? Of course not. Should it expand to cover a wider range of fitness plans? Definitely. Can you get individual apps that offer voice coaching (like Strava or SmartRunner) that will work with your current headphones for little to no cost? Sure. But all in all, there's a lot to like here. And the company says that the hardware has been built to accept years of software upgrades to increase Vi's capabilities and expand workout activities. That makes us feel better about investing in the potential benefits from such artificial intelligence. But even in this early iteration, it's damn impressive. Vi's battery life is about seven to eight hours, so you can easily wear them to play your music and answer calls when you're not working out. The exercise you need to live longer is easier than you think. Six of the smartest headphones for easy listening without any wires.